A nominee director for offshores or IBCs (International Business Company) registered in Seychelles is a trusted appointee who is in charge of managing the business on behalf of the owner, for private reasons. This kind of service is available on request and if you are interested in opening an offshore in Seychelles, you can address to our specialists in company formation in Seychelles. Why is it suggested to appoint a nominee director in Seychelles? Just like the nominee shareholders in Seychelles, the nominee directors are a good and recommended suggestion for company owners who want to protect their identities on the business market in the country. A nominee manager is in charge of varied responsibilities in companies registered in Seychelles without having to implicate or expose the owner. In other words, the offshore company in Seychelles can activate in complete confidentiality regarding the owners by appointing a nominee director. 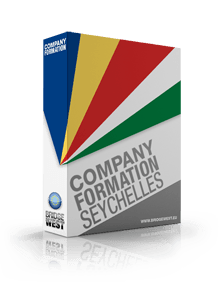 This is a well-known method used by companies in Seychelles and can be requested at any time, our company incorporation specialists in Seychelles being ready to offer additional information in this matter. Also, we remind that the company registration in Seychelles is an easy process which can be concluded by our consultants. There are wide-ranging managerial roles a nominee director can take care of, as agreed with the owner of the company in Seychelles. In accordance with the necessities of the company, and the situation of the client, the nominee manager will act in complete privacy, taking care of the daily activities of the business. There are also cases where the owner of the IBC in Seychelles is also the director who takes care of the business without having to be relocated to Seychelles. Please keep in mind that the director’s residence status, whether a nominee or the owner itself will weigh much in tax matters, if any. A company in Seychelles can activate with both nominee shareholder and director for confidentiality reasons, under a default arrangement. If you have decided to register a company in Seychelles, our advisors can help you with document preparation among other aspects. For more information about how to appoint the nominee director for your offshore in Seychelles, please feel free to contact our team of company incorporation agents in Seychelles.